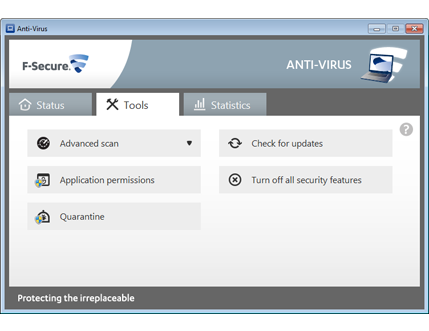 F-Secure Anti-Virus 2014 – basic protection against viruses and spyware. You get an easy-to -use antivirus and antispyware protection with proactive DeepGuard against new threats . F-Secure Antivirus 2014 protects your personal information online. 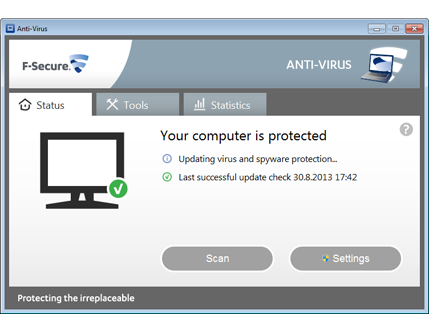 Quick and easy anti-virus software does not interfere with the computer at the time of protection. Viruses and spyware do not always ask for your permission before you install on your computer. To date, most malware gets onto your computer invisibly – over the Internet. F-Secure Anti-Virus 2014 is a must remedy that provides the necessary security of Windows. – Improved protection: updated technology DeepGuard, protecting the network in real time and other methods of proactive protection against malware with a multi-level security system. – Anti-virus solution has become more simple and easy to use. 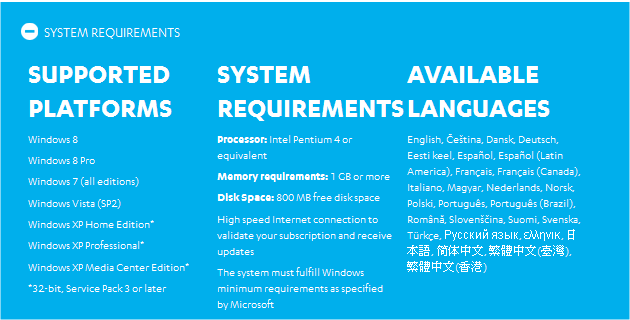 Simplified installation process is performed with minimal user interaction . New launch buttons offer easy access to all features and functionality of protection. – Optimized for the mobile Internet. Security system automatically optimizes the use of mobile access to the Internet within a home network and roaming. Protection against viruses and spyware with anti-virus, anti-spyware, email anti-virus scanner, anti-rootkit technology DeepGuard Blackligh and proactive protection against new and unknown threats (zero day threats). You can download the latest version of anti-virus solution F-Secure Anti-Virus 2014 at official website of company F-Secure.